Winter engagement photography is about love, and the birth of a long-lasting relationship. It must capture, with winter engagement photography, the essence of the love that exists with two people who are about to spend their entire lives together. Winter engagement photographers, must connect and build a healthy relationship with the couple that is about to be married. You must spend time with the soon-to-be groom, who is about to ask an important question of marriage to his soon-to-be bride. As a winter engagement photographer, you may want to even suggest to the soon-to-be-groom places where he would be interested in asking the important question of marriage to his bride, such as the Liberty Grand in downtown Toronto, Ontario, Canada, or perhaps at the top of the CN Tower, also in downtown Toronto, or again, somewhere more quiet and picturesque, such as Mont Tremblant in the Province of Québec in Canada. Sometimes, with winter engagement photographer, the soon-to-be-groom for a wedding may also want to ask the question of a winter engagement to his bride in the privacy of his home with just the winter engagement photographer there to capture the moments after the marriage proposal has been confirmed as a “yes!”. With winter engagement photography, I always try to ensure that I am wearing soft and subtle clothing as to blend into the environment so that the newly engaged couple will be the focus of the photography shoot that is about to take place. Here are some important tips that will help you as a winter engagement photographer to celebrate the special beginning through the beauty of photographs for a newly engaged couple. Tip #1: It’s wintertime in Canada, encourage the soon-to-be-groom to dress warm. As you are consulting with the soon-to-be-groom for the winter engagement photography shoot, encourage the soon-to-be-groom to dress warm as photographs may be taken outside. Tip #2: Make sure that the soon-to-be-groom encourages the soon-to-be-bride to also dress warm. Women can sometimes be known for not dressing for the weather, just as many men can be known for the same thing. For the winter engagement photography, make sure that you encourage the soon-to-be-groom to encourage the soon-to-be-bride to dress warm for the occasion where the marriage proposal is going to take place, and of course, the soon-to-be-groom will need to keep it secret from the potential bride as the purpose of the occasion. Tip #3: As a photographer, remember to blend into the environment. If the winter engagement is taking place in a public place, as a photographer, it will be important that you blend into the environment into to capture the kind of loving and tender photographs that once the newly engaged couple will see the prints of the photographs, they will be highly surprised that you were able to capture such moments. Tip #4: Consult with the groom prior to the photo session to find out his dream winter engagement photographs – what his vision of the winter engagement photography is. Before the winter engagement photography shoot, find out from the groom what would be his ideal, his dream, and the vision that he has of the kinds and the types of photographs that he would like to see captured of the winter engagement photography. Tip #5: Start planning with the couple to do their winter wedding photography! 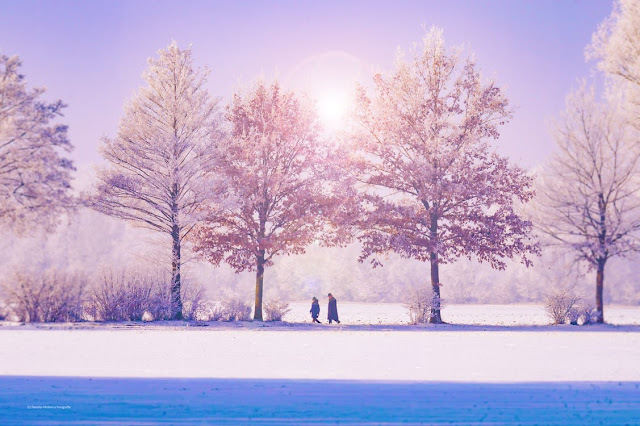 Once the winter engagement photography is complete, start planning with the couple to do their winter wedding photography well in advance of when the wedding would take place.